I loved Lord Jim by Joseph Conrad, seeing myself in his wonderful stories of faraway places, strange-looking people, and magnificent adventures. I wanted my own magnificent adventure, just like them. Jack Sligo, a fifteen-year-old Irish Catholic kid growing up in Boston in the 1950s, sneaks out of his home one night and hitchhikes to New York hoping to get a job on a ship to see the world. And he gets his wish, waking up on an African merchant ship bound for ports unknown, with no idea how he got aboard or if he’ll ever see home again. Sligo seems younger than fifteen in an accurate way, with the naivety about the world a young teen that had never left the insular community of his hometown would have. 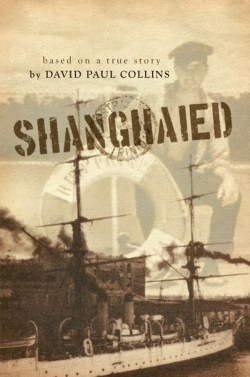 The novel touches on issues of race relations in the 1950s, and Sligo’s naïve indignation at the way his black shipmates are treated in a Southern diner is written perfectly, full of anger but mostly confusion about the situation. Fans of other sea-set teen novels like Avi’s The True Confessions of Charlotte Doyle will like this book, which captures well the story of an utterly inexperienced kid being thrust into a situation he isn’t quite ready for, as well as the adventure he has in exploring new countries and learning to survive on the open sea.